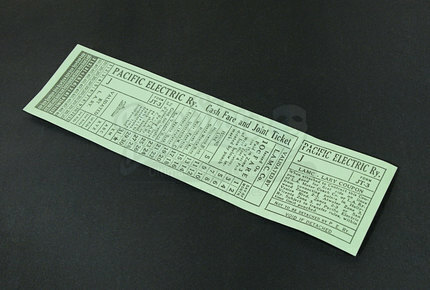 A 'Pacific Electric Railway' cash fare ticket used in the 1988 Bob Hoskins classic Who Framed Roger Rabbit, the pioneering film that combined live action and animation to create a wonderful movie. 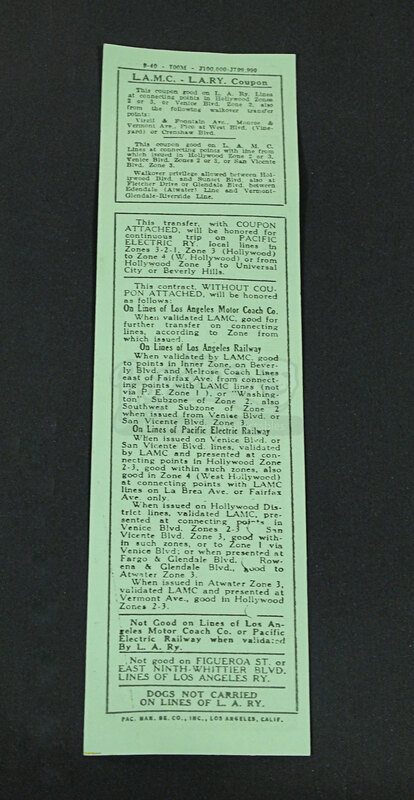 The slip of green paper is a reproduction of an old ticket for the legendary railway and would have likely been used in the 'Red Car Trolley Station' bar that Dolores (Johanna Cassidy) manages which features Pacific Electric advertising for the 'red trolley car' – interestingly the plot of the movie loosely mirrors that of the fate of the Pacific Electric Railway in the 1970s, known as the 'great American streetcar scandal.' 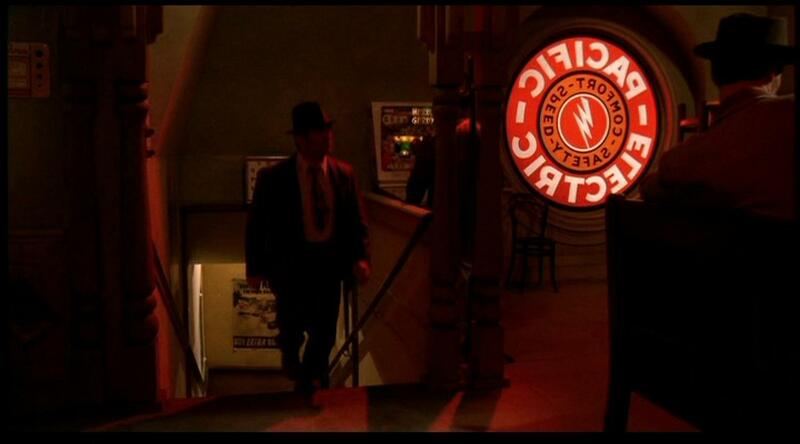 The tickets themselves were re-used as grail diary dressing in Indiana Jones and the Last Crusade. 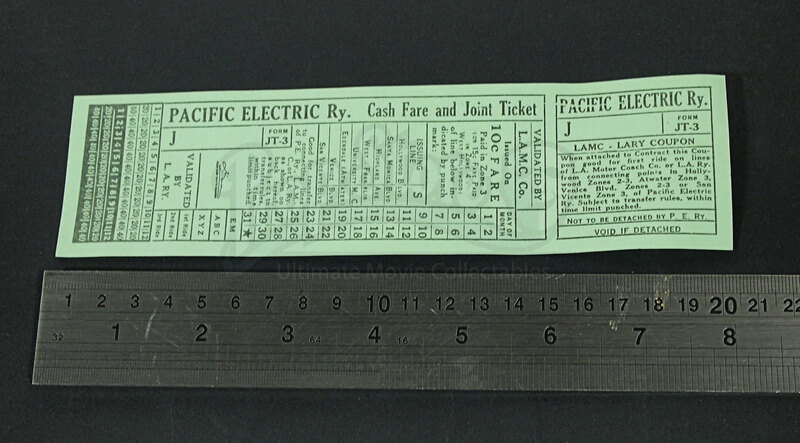 Measuring 20cm x 5.5cm (8” x 2.25”) it remains in very good condition.